Last holiday season, mobile ecommerce traffic was greater than 50%, and 25% of purchases made on Thanksgiving 2013 came through mobile devices. Pair this with the fact there’s more mobile devices than people in this world, mcommerce too big to ignore in 2014. It’s not enough to have a mobile presence — it’s gotta be optimized. While this list is by no means exhaustive, here are five things to think about when designing and tuning your mobile commerce site. It’s tempting to take a desktop site and scale it down or otherwise adapt it to smaller screens, leveraging the design work and features already created. However, not all design elements, features and content make for a good smartphone experience, and not all are necessary. Mobile first redesigns work from smartphone up, ensuring the minimum viable content and functionality exists (and pages load fastest). It’s (relatively) easy to add elements to tablet and desktop experiences, but trying to retrofit desktop sites often leads to “satisficing,” which is less-than-optimal. Keep in mind “mobile first” may not mean smartphone first for every project. You may decide that the tablet experience is your starting point, designing up and down accordingly. Most site conversion goals involve a form – whether it’s a one-field email address entry or a complex registration or checkout. Consider best practices such as placing labels above form fields, avoiding inline labels, disabling first letter capitalization for email and password fields, and optimizing for touch input. Google shares that faulty redirects and smartphone-only errors are 2 common mobile SEO hiccups that you can fix. Faulty redirects detect the wrong user agent, and redirect visitors to the wrong URL, often the home page. Smartphone-only errors occur when Googlebot-Mobile is mishandled, creating an infinite loop of redirects between the desktop and mobile versions of a site, or serving a 404-page at a smartphone-friendly URL. 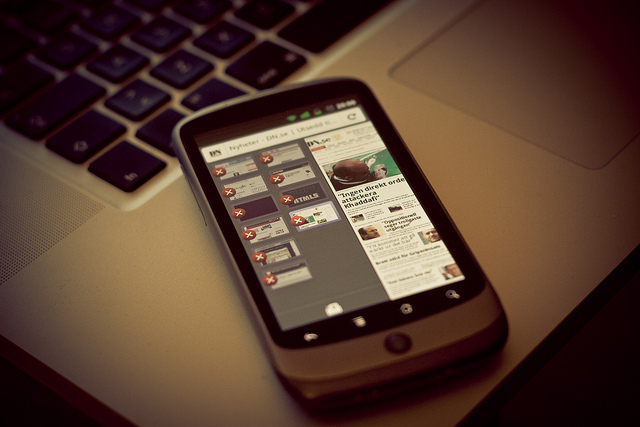 Does your mobile site need to be a copy of your desktop site? Definitely not. Knowing your user’s mobile context helps you determine how to design navigation, what images to cut and keep, which products to merchandise on the home page, and what site tools, such as store finders, need more or less visibility. You may choose to serve your mobile Web visitors with an app-like experience that takes advantage of rich media, a device’s camera, geolocation, push alerts and other app-like features using HTML5. Speed is critical on mobile – users are on the go, and service can be slow. Light load is a benefit of using a mobile-specific site (vs. responsive design). Resize, optimize and compress images for smaller screens, reduce scripts and redirects, and consider using a CDN to speed up your responsive website. Next Will Robots Explore Mars Before Humans?